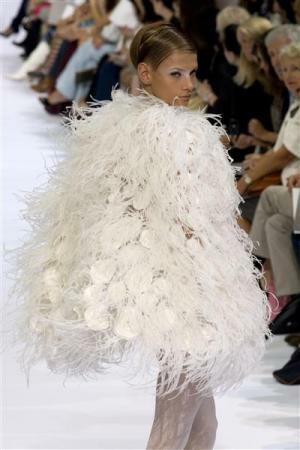 I am very excited to be attending tomorrow fashion show by Parisian couture designer Stephane Rolland as part of Fashion in Motion in my favourite Victoria and Albert museum. His debut couture collection shown in July in Paris got great reviews and I’m not surprised as his gowns and cocktail dresses are simply stunning. He’s a popular choice by Cheryl Cole, who has been spotted number of times wearing his creation on X-factor. He is currently working on ready-to-wear collection which will launch next year and I can’t wait to see it. I will of course tweet from the show and you can expect a post after as well.